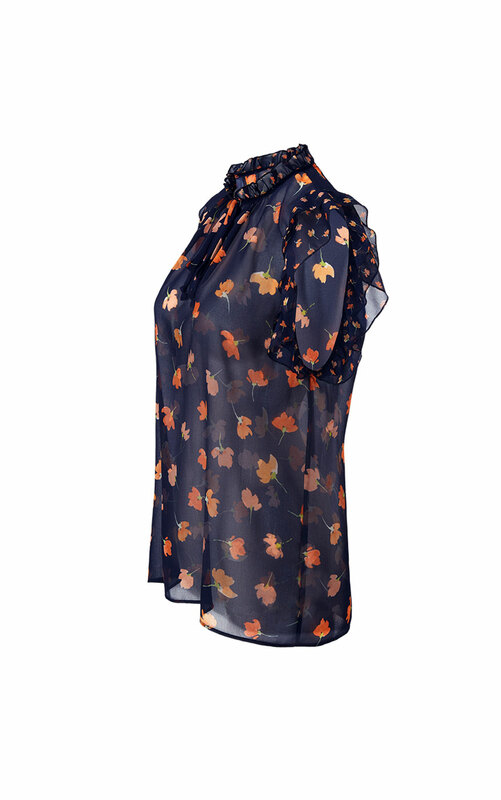 Falling orange poppies cover this delicate navy chiffon blouse for a romantic style that's perfect for date nights. 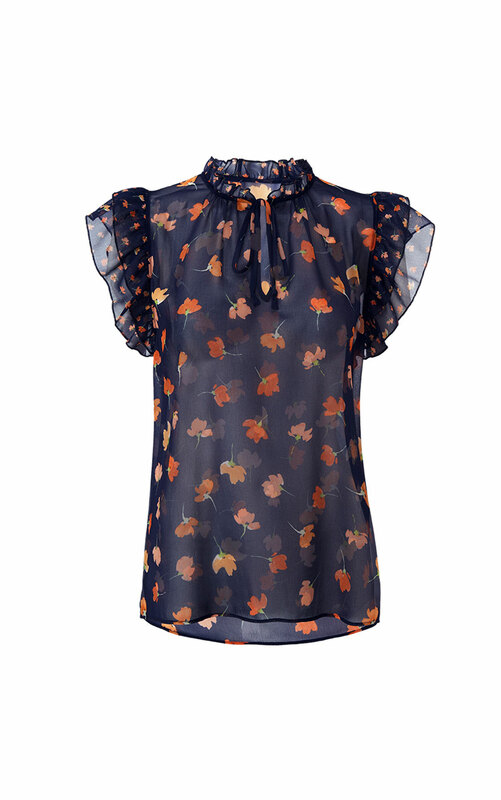 The Spring Blouse is a sheer floaty top that looks best worn over a navy cami. 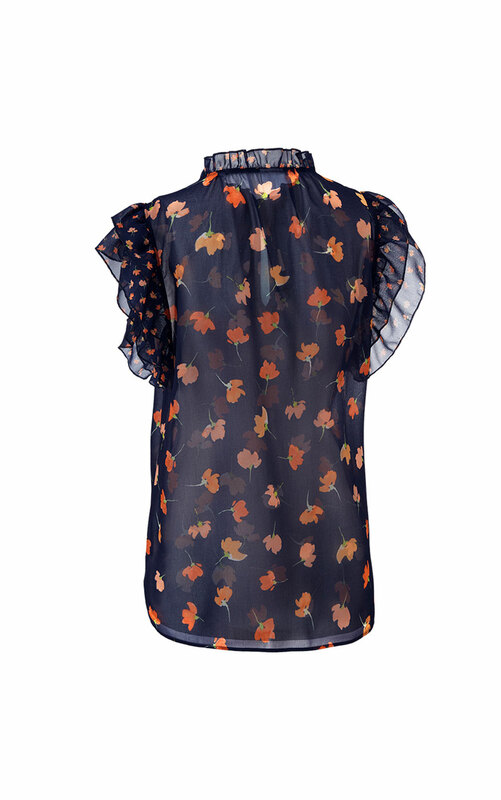 Loving the Spring Blouse? Share how you’re wearing it on Instagram, and browse through all the inspired ensembles for fresh ideas.